I say the above statement out of its hilarity, since I am a beardless woman. But, made it into the industry anyway… ha ha! This is just for fun and maybe you, too, will want to vote. A good beard takes time, I hear. Thanks to Banjo Media for this nutty photo. Craft Beer is holding their annual “Best Beards of Craft Beer” Challenge. Follow the instructions below to vote for the 2013 winner. 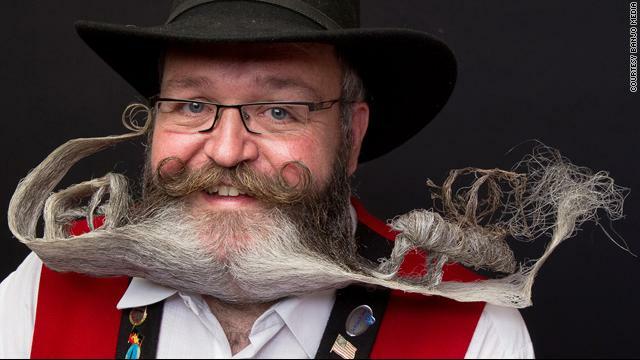 Craft brewers take their facial hair pretty seriously—think about it, you don’t see many clean-shaven brewers out there! Julia Herz (@HerzMuses) set out to see just how serious they truly are about their stubble by asking brewers to submit a picture of their “righteous stache, goatee, dali, old dutch, soul patch or just a simple beard” to CraftBeer.com. We received 70+ pics of brewer’s facial fuzz, and now we need your helping picking the finalists! All of the submitted photos have been added to a Facebook album, “Craft Beer’s Best Beards – and a Few Mustaches Too,” and now we need you to “like” your favorites. The 20 brewers with the most “likes” by Monday, Feb. 25 will move on to the Best Beards of Craft Beer finals!